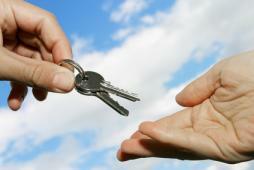 All Brevard Property Management specializes in property management services in Brevard County FL. We specialize in both residential rental properties as well as commercial rental properties. Our office is located at 1090 N. Suite 1 Highway A1A in Indialantic, Florida and manages properties in Brevard County. Our two full-time property managers represent the owners’ interests while watching out for the tenants’ rights and obligations as well. If you are looking for a home to rent or are in need of property management services in Brevard County, including Merritt Island, Rockledge, Melbourne, Suntree, Viera, Palm Bay, Satellite Beach, Indialantic and Melbourne Beach, we have you covered. We understand there are many choices in the property management market, and we appreciate you taking the time to check us out. We have added a few features to our website to help you make an informed decision. To the right please find several links that will allow you to browse not only our office listings, but also all of the MLS listings in Brevard County. Please feel free to call us at (321) 723-4749 and let us start managing your investment property today.